Hip replacements are a miracle of modern medicine. They restore mobility to persons with disabling hip arthritis and free them from often severe pain. While hip replacements are major surgery, especially in the generally older patients who require them, the success rate is high. Hip replacements are remarkably durable, still working without the need for revision in the vast majority of patients a decade or longer after surgery. 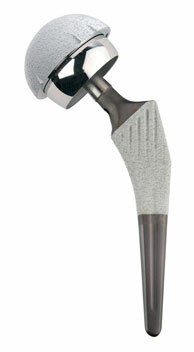 Standard devices for hip replacements use a metal ball that fits into a plastic socket. These devices have worked well for many years. But then a new device came along--a metal ball fitting into a metal socket. The DePuy "metal on metal" hip replacement was supposed to be the newest and greatest thing--more durable and allowing patients a more active life style. Thousands of patients received the metal on metal hip implant instead of the standard hip replacement. Unfortunately, the results were catastrophic. These metal on metal hip replacements have failed at a frighteningly high rate, requiring revision surgery at least 4 times as often standard hip replacements. The public health disaster caused by this device has been nicely chronicled in a series of NY Times articles by Barry Meier. But here is the real shocker and outrage of this episode: Did you know that the metal and metal hip replacement was never shown to be safe and effective? Is it really possible that a new hip replacement device could be used in thousands and thousands of patients with little proof that it is safe? Even when the standard device has a proven track record? Don't we have the FDA to protect us from stuff like this? Unfortunately, yes, this was totally possible, and no, the FDA did not protect us. In an excellent perspective in the New England Journal of Medicine, Brent Ardaugh, Stephen Graves, and Rita Redberg describe what happened. An obscure FDA loophole, known as the 510K process allowed the metal and metal hip replacement to be used in patients without proving it was safe. The 510K process allows products to be approved that are believed to be of "substantial equivalence" to already approved devices. But the evaluation of substantial equivalence is deeply flawed. The authors note that device makers can show substantial equivalence to devices that have never been proven safe--or no longer even on the market because of poor clinical performance. The substantial equivalence evaluation for the metal on metal hip device sounds particularly scary. Various components of this device were shown to be substantially equivalent to to various components of other devices. But the device maker never had to prove that all the components of the metal on metal hip worked together. One wonders how many patients would have agreed to have the metal on metal hip if they knew how it was approved and were aware that it was never proven to be safe. The metal on metal hip replacement was a totally man made and preventable public health disaster that has caused great suffering. The FDA needs to close the 510K loophole and prevent similar disasters. And we need a change in medical culture that is not so quick to believe that the newest medical gizmo is better and demands a high level of proof before new devices and procedures are widely used.